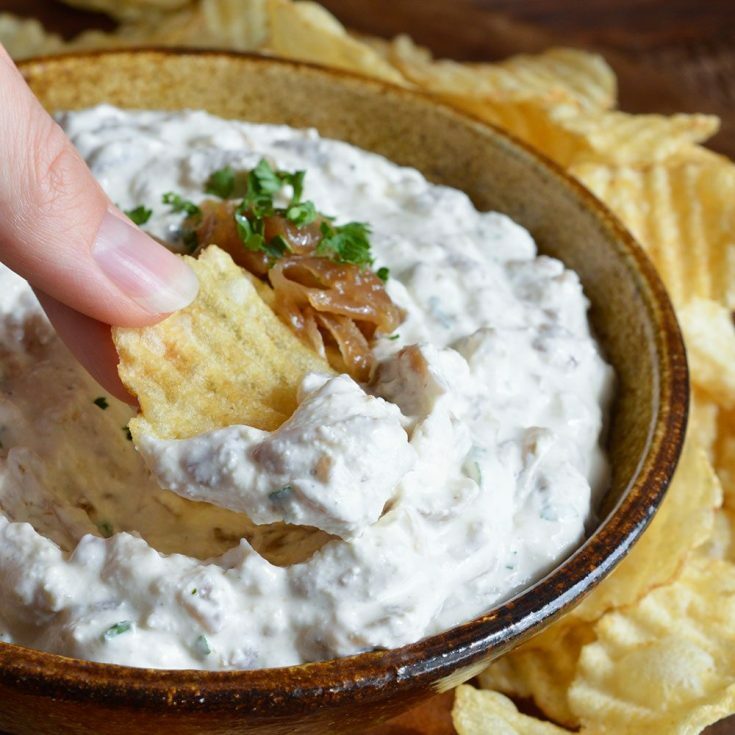 This French Onion Dip Recipe is the perfect party appetizer! 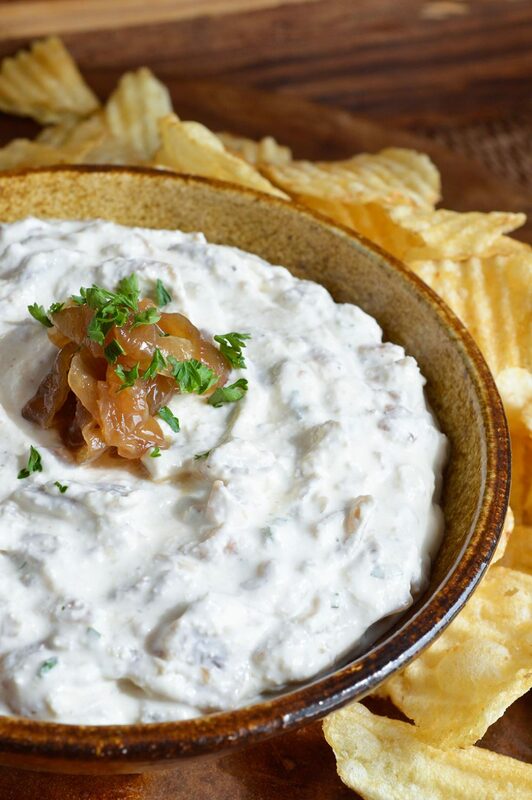 Caramelized onions in a cold, creamy dip. You know me, I LOVE my dips! Seriously, I am always thinking of new unique dips or ways to improve my favorite classic dips. 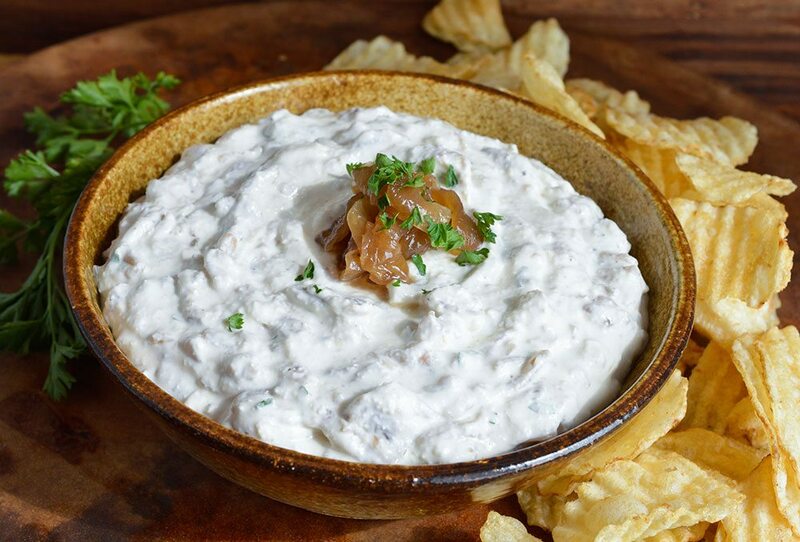 I would say that this French Onion Dip Recipe is an improvement on a classic. 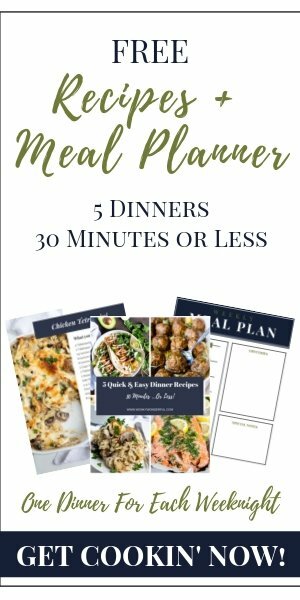 No need to buy the dry season packet or premade dip ever again. This is as good as you think it is! You’ll never be able to eat the store bought french onion dip again. There is just no comparison. 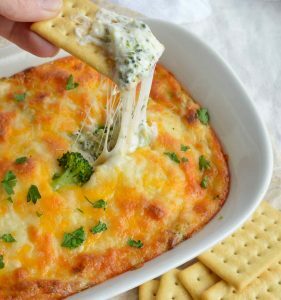 And the best part is how easy this dip is to make! 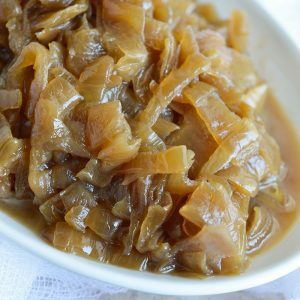 Start with Slow Cooker Caramelized Onions then it is just mixing a few ingredients. If you prefer to cook your onions on the stovetop; just cook them low and slow with olive oil. It will take a good 45 minutes or so. 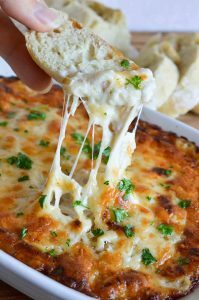 This will be a HUGE hit as a game day appetizer. And it tastes better if you make it the day before. So that makes it a great make ahead party food. Serve with chips, crackers and bread. Kick back and watch the game! Make these Caramelized Onions first. Mix cream cheese and sour cream until combined. Refrigerate overnight for best flavor. 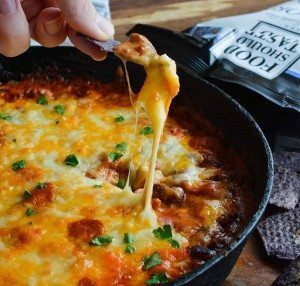 Oh wow, that dip looks fabulous. I love the French onion, sour cream and cream cheese combo. Definitely making this on Sunday. Thanks! It is definitely a good game day dip!